The easiest way to make your blog go viral is to place a Social Media sharing buttons on your blog. How to add the Social Media Sharing Buttons to your blog? All blogging platforms (like WordPress and Blogger) have numerous ways of implementing social media sharing buttons. With a few clicks you can get different add-ons or plugins that will display the social media sharing buttons on your page. Adding the SM buttons is the easiest part! 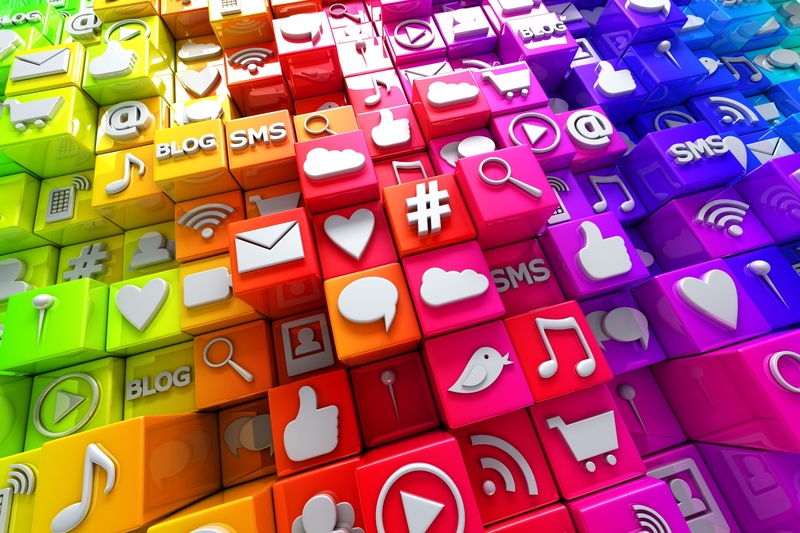 What Social Media Buttons To Use? Your readers are likely to use one social media channel more rather than the others. Most of us use at least two social media sites at the time. We tend to use one for work related topic, others with friends & family, and perhaps the thirds for some hobbies or special interests. Your blog content will define what type of the visitors you will attract. You need to use the social media buttons representing the social media sites that your visitors use. More is less. Providing an option to share your content in 50 different social media channels is decreasing the chance for your content to actually get shared at all. At most use 5, and aim to just 3 social media buttons for your top 3 most popular social media channels – where your content shares the most. Value of each share is not the same. For ecommerce sites or the sites offering subscriptions the share on one social media can be 10 times more valuable (in the revenue achieved) that a share on the others. Analyze your web traffic coming from the social media and determine what traffic is the most important (profitable) for you. You might bet a dozen LinkedIn shares and thousands of Facebook Likes and Shares, but if your product is a liked to the recruitment and sales that LinkedIn is all about – your handful of LinkedIn shares will be more valuable to you than tons of Tweets or Facebook ‘Likes’. If your product is a local consumer goods, the shares and the traffic from LinkedIn is most likely worthless for you. Facebook on the other hand will get your sales. Where To Place Your Social Media Sharing Buttons? The SM sharing buttons are the “Calls to Action” of your blog post! Your blog is to generate traffic, and the SM buttons are to convert that traffic to the inbound links. New inbound links will bring more people from the social media sites and increase your Google rankings and get your more traffic. See the full circle closing up? Social media sharing buttons should be placed so that hey are always visible on the screen while a visitor is reading the blog post. Years ago it meant putting them number of times on the page. Today we use the floating sections on the page that assure the SM buttons are always on the screen, regardless of the page being scrolled up or down. The more visible the SM buttons are – the more shares and Likes your page will get. This will get you the most shares on our most important social media network. This gives more prominence to the social media channels your content is less likely to be shared to. You can do this when you know you will get enough Facebook Likes regardless where your Facebook icon is. This gives you the opportunity to place another SM sharing channel ‘above’ to a more prominent position and get shares that you naturally wouldn’t with that SM button buried down. Test, test and test. And than turn it all up side down and retest.